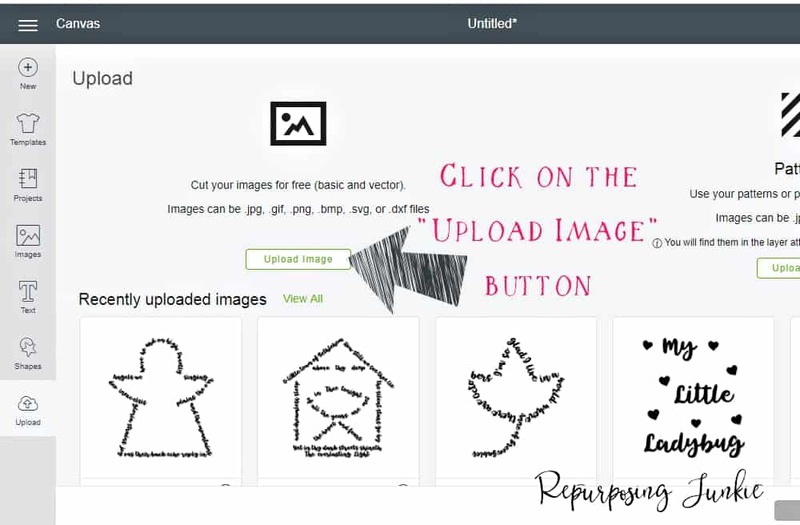 In this tutorial, I walk you through step by step in Making JPEG Files into Cut Files in Cricut Design Space. If you have any questions feel free to ask. I hope you find this helpful! 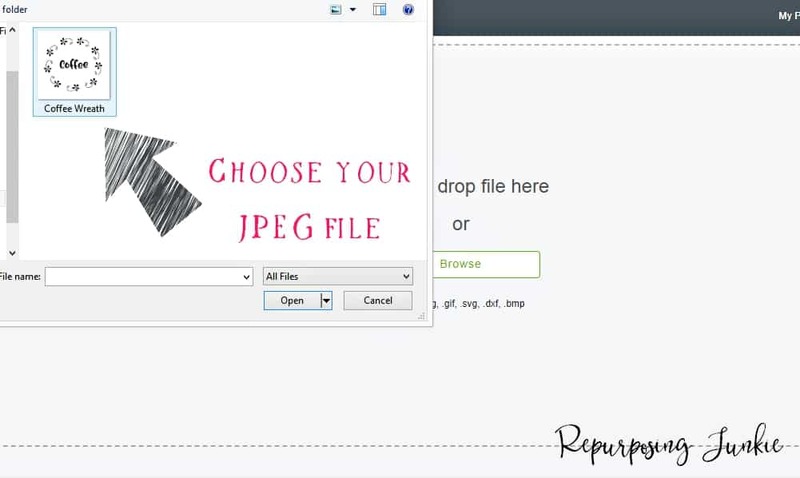 Choose the JPEG file you want to use for your cut image, from your computer or device. When it’s uploaded to Cricut Design Space, click on “Simple Image” if it’s a simple image like the one I’ve uploaded here, and then Click “Continue”. If it’s more complicated simply click on the appropriate complexity of the image you are working with. Next choose the “Select and Erase” icon that looks like a wand. Then drag your mouse into the white space of your image until the cursor turns into a cross beam, and simply click in the white space. The background will turn a checkered blue and white indicating it’s now transparent. Once your image is ready then click “Continue. Next click on “Save as a Cut Image”, and then click “Save”. Choose the saved cut image file and then click “Insert Images”. The cut image is ready to be resized to fit whatever measurements desired. Click “Make It” when ready to cut. Cricut Design Space will continue giving directions until your cut project is complete. 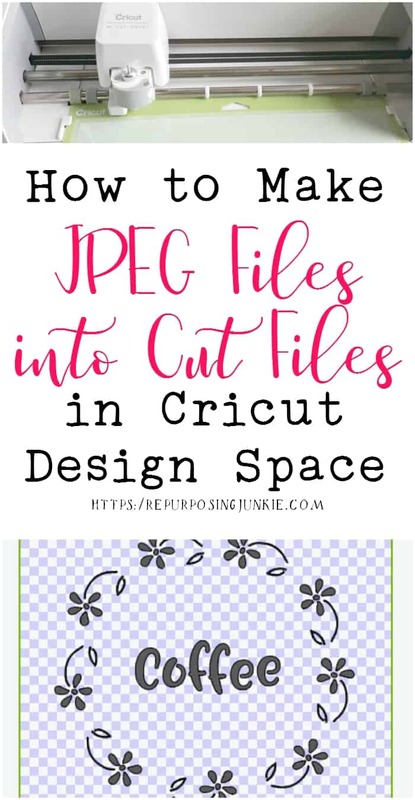 I hope this tutorial on Making JPEG Files into Cut Files in Cricut Design Space is helpful. If you have any questions don’t hesitate to ask. Thanks so much for sharing this tutorial!! Great to know Keri, I didn’t even know this site, so I’ll definitely go check it out! Thanks for the tutorial! The Cricut Design Space is coupled with the Cricut Machine, which is an awesome tool! Have you ever notice that the font ends up thicker than the original jpeg font? I use this feature, but with mixed results….. I think there’s a way to use the contour button, but I’m not sure….? What happens when it says I can only do a print and cut and I only want a cut? What can I do so I can just cut? So I saved some cute free images and fonts. How do I save and or use them (multiple sizes etc). Also, I see many save as zip files? I’m frustrated and haven’t even used it yet! How do you save the more complex items and what do you do in this case? Lol maybe you should call me. I need a circuit tutorial for dummies. Ugh. How do you determine the complexity of the jpg image? 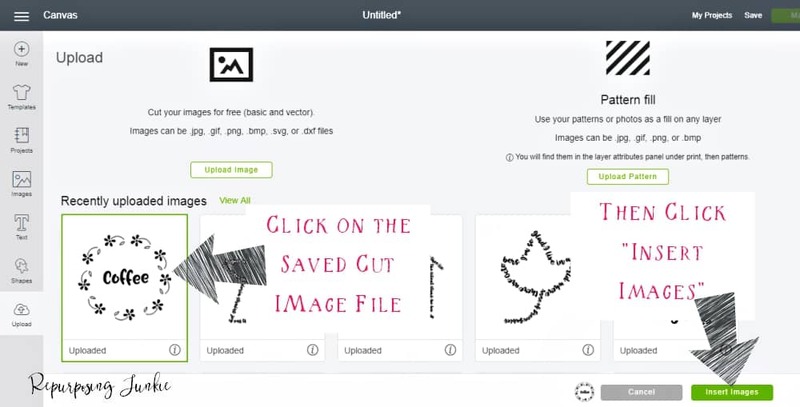 I just use the complexity guide that Cricut Design Space gives when you upload the JPEG image. I usually only upload black and white JPEGs so I choose the simple image, but if your image fits the moderately complex or complex choices I would use those. Oh my gosh! I ve been wanting to learn how to use this process. I have to try it maybe tomorrow, don”t have the time today. Thank you for the great tutorial, I am so glad I found you. Hello, I have created a design in cricut design space. Now I want to pull that from design space to my computer so I can use it in other ways (send it to a print company, copyright, etc). How can I do this? Hi John, there are actually a few videos on You Tube that explain how to do that using a snipping tool. 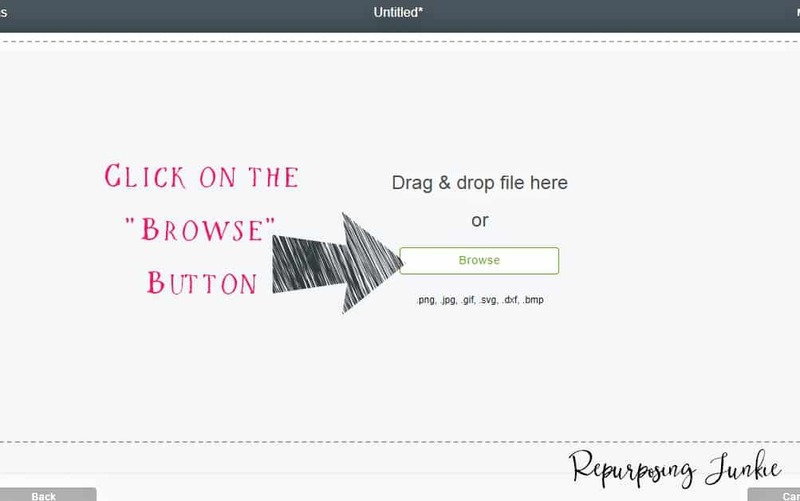 You can search how to export from Cricut Design Space onto your computer and it should bring up the videos. Hope this helps! Hi I’m new to Cricut. Have made some stencils, wanted to know if you have stencils of lettering, to make your own projects? Hi Jimmie, if you’re looking for some stencil fonts, Creative Market has some great stencil fonts. One of the stencil fonts I use and recommend is Tingler Duo which is found on Creative Market and works great when cutting with the Cricut. I hope this helps! This is a great tutorial! I was wondering about uploading a jpeg image for the print then cut function. I just want to cut the perimeter of the image, not cut out the details of the image. Can you help?